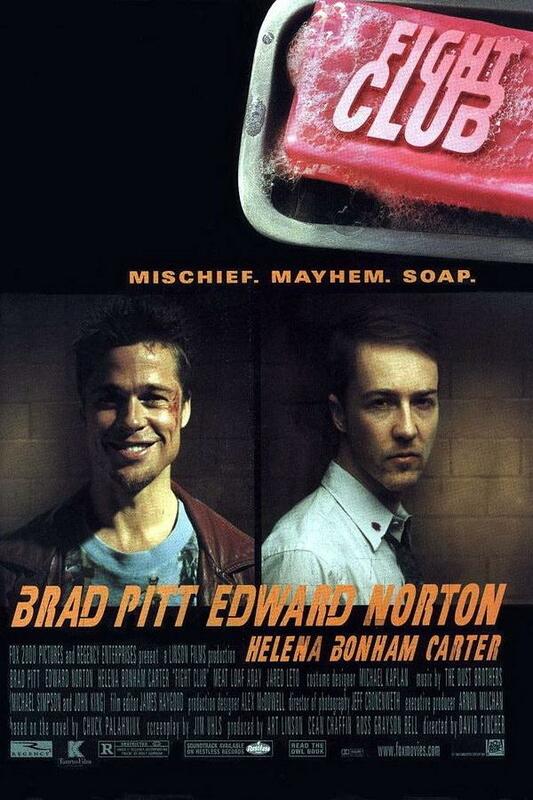 It's hard to believe it's almost been 20 years since Fight Club was released. Like most David Fincher movies, it doesn't feel dated at all. From the complex characters to the slick visuals (it's shot on film but still has an HD quality to it), it's easy to gush about how much of a masterpiece this movie is. And don't even get me started on how well Jim Uhls did adapting Fight Club from a novel to a screenplay that perfectly captured everything the book was about, and, in the words of Chuck Palahniuk himself, somehow improved on his original written work. A huge reason why Fight Club is loved by film buffs and artists from all walks of life is its careful attention to detail, and how film tricks were used to play with the idea of the duality of Jack/Tyler's character. This goes without saying, but if you haven't watched the movie yet, then please stop reading this and just go see it right now before finishing this. But if you're a fan and are interested in just how much thought went into every frame, then keep reading. Because there's a heck of a lot of Easter Eggs in this movie that I missed the first time around — buy Fight Club here if you feel inspired to watch again. Here's a fun fact: I watched my original Fight Club DVD so many times (the one that came in a mock box of soap) that I broke the disc. I obviously went and bought a replacement right away, but even I missed these Tyler Durden blips the first time I watched it. These four blips occur before we actually meet Tyler for the first time on the airplane. 2. The warning after the warning. 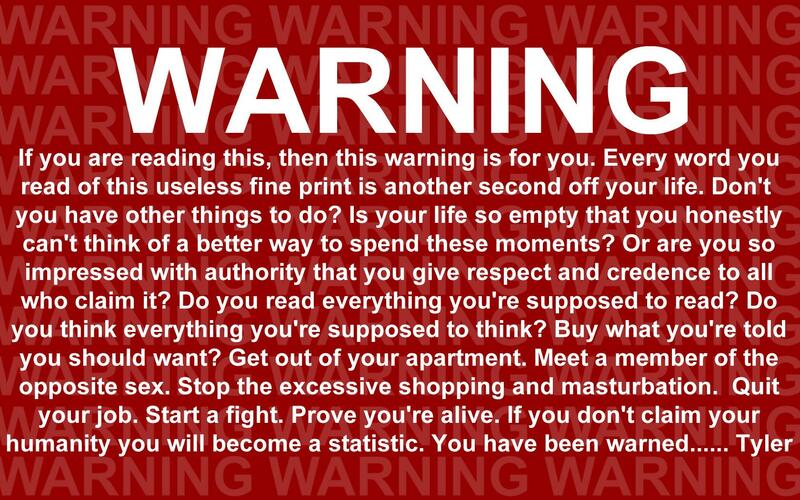 Since Tyler Durden's character represents anarchy, it's only appropriate that this hidden warning would flash on screen after the movie's "official" FBI warning. Something tells me if Tyler Durden made a movie, he wouldn't care if someone stole it. 3. The director claims there's at least one Starbucks coffee cup in every scene of the film. 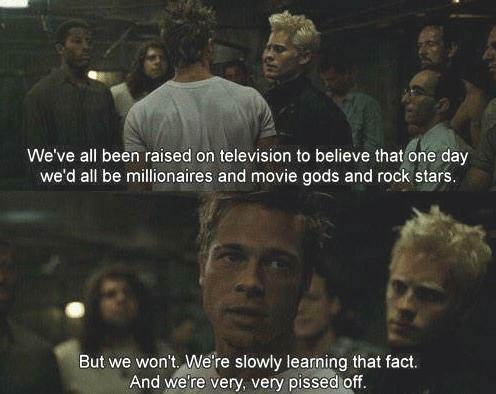 A big recurring theme in both the Fight Club film and book is the hard look at the pursuit of consumerist culture and its inability to make people truly happy, despite its omnipresence. To drive that point home, whether you realized it or not, David Fincher made sure to pack as many $4 cups of coffee into the film as possible. 4. 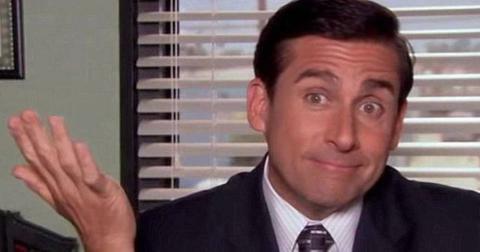 Tyler's an employee in the Bridgeworth Suites "welcome" video. 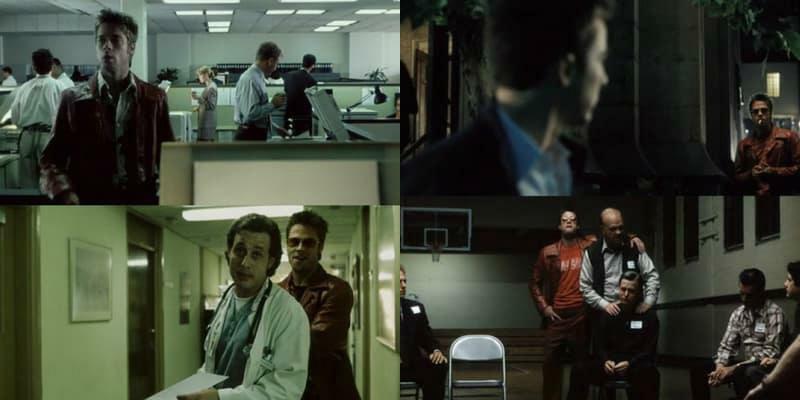 Fight Club is a bit of a head trip, and Fincher takes every opportunity to tease one of the film's big "reveals." In the beginning of the movie when Jack is traveling from place to place, he lands in the Bridgeworth Suites, where astute viewers might've noticed a familiar face: Mr. Durden himself, as part of the crew's welcoming committee. Although it's mentioned in the movie but isn't a focal point, a big part of Tyler's character is that he's able to help fund Project Mayhem by basically never sleeping and working a variety of jobs 24/7. This is one of them. 5. Notice that little document behind Jack's work haiku? Those names on the back are of all the production assistants and film crew members who worked together to make the magic that is Fight Club come to life on the silver screen. 6. Marla's phone number might look familiar. Hollywood seems to have an affinity for the 555-0134 phone number. It was the same number for "Teddy" in Memento, and also a restaurant in Harriet the Spy. The show Millennium with Lance Henriksen featured the number as well, as did the movie Someone Like You. 7. When Tyler gets punched, Jack feels it too. During a scene that depicts Tyler being beaten by Lou, the owner of the restaurant where Tyler's Fight Club is held, whenever Tyler gets hit, Jack reacts ever so slightly. 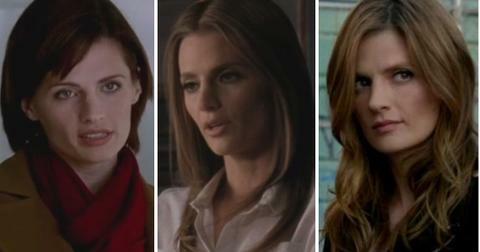 Another hint that they are one and the same. 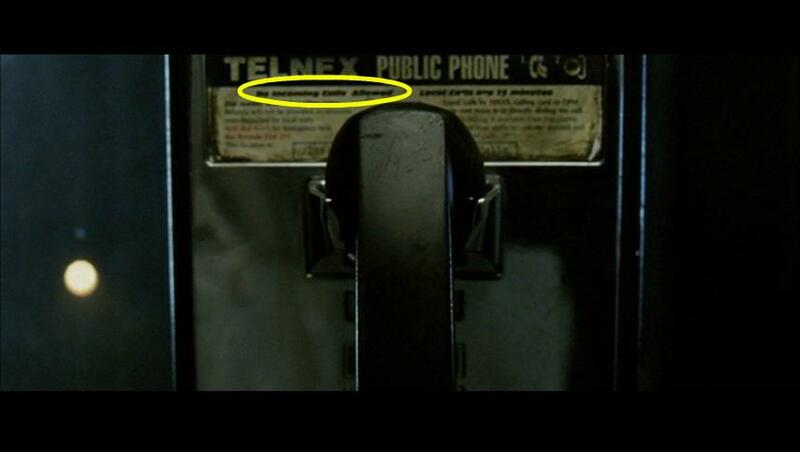 Yet another hint about Tyler and Jack's special relationship: when Jack answers the Telnex payphone Tyler calls, the shot specifically shows a message on the phone that states "No incoming calls allowed." 9. Who's in the driver's seat? There are a few hints before the movie's big reveal about the nature of Tyler and Jack's relationship. Like when they get on the bus together and Edward Norton's character only pays one fare. Or when Tyler pulls Jack out of the car after crashing it, he exits the vehicle from the passenger's side and then pulls Jack out of the driver's side. 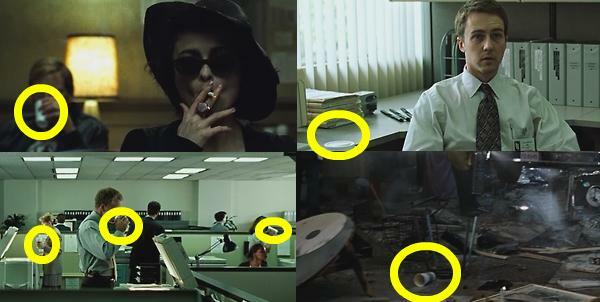 In any other movie, one would consider that a continuity error, but in Fight Club, it's intentional. 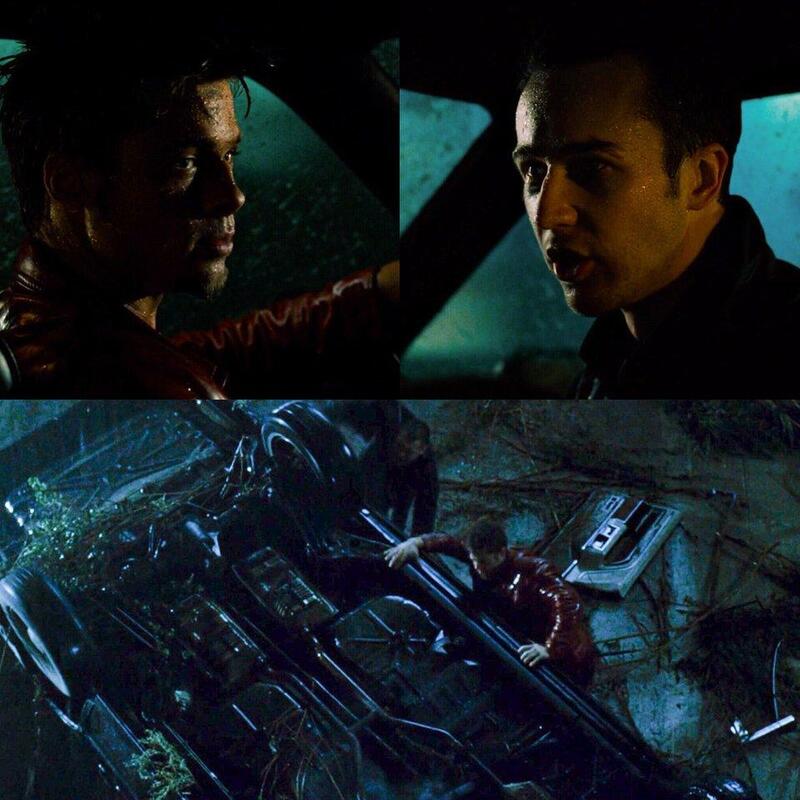 "Tyler", who is really Jack, was driving the car, but after the crash, it's Tyler who "saves" Jack from the wreckage. In addition to these Easter Eggs, there's some pretty amazing trivia about the film that might surprise viewers. 10. Helena Bonham Carter had some rules for her makeup artist during filming. She didn't think Marla would give a damn or be particularly good at applying makeup. So she asked the makeup artist assigned to her on set to use her left hand when applying it, giving the rough-around-the-edges, wonderfully crazy look that Marla Singer sports in the film. 11. Brad Pitt, like Jim Carrey, got reverse dental work for a role. Pitt wanted Tyler to have a chipped tooth for the movie, so he went to a dentist to get it chipped by a professional. Jim Carrey did the same thing for Dumb and Dumber. 12. The lye chemical burn scene really upset Brad Pitt's parents. There are some movies that just don't lend themselves well to family fun time, and it wouldn't be wrong to include Fight Club in that list. Brad thought so too and suggested to his parents that they shouldn't watch the movie. But, because they're proud parents and all, they insisted...and quickly regretted their decision after seeing this unforgettable scene. 13. 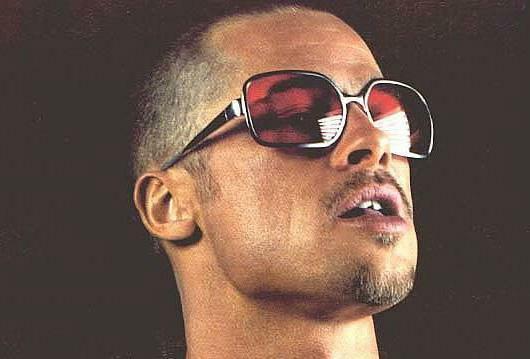 Brad Pitt wasn't the first choice for Tyler Durden. 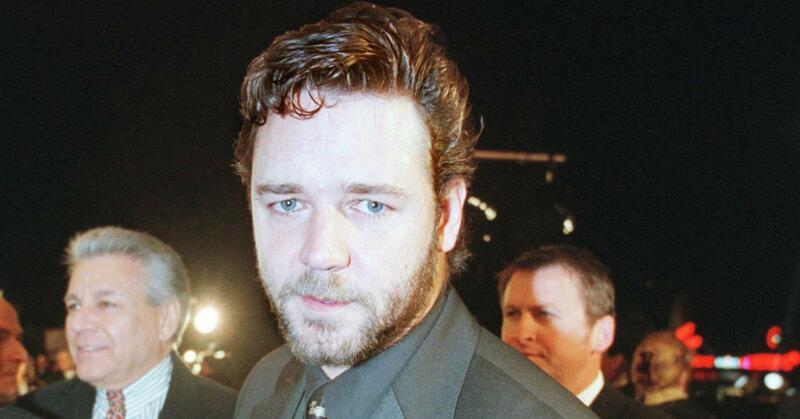 Although it's pretty much impossible to imagine anyone else playing that role now, producers of the film originally wanted Russell Crowe to be the leader of Project Mayhem. It would've been a much different movie, if that were the case. 14. And before settling on Edward Norton for the "Narrator" or "Jack," two other big names were floating around. 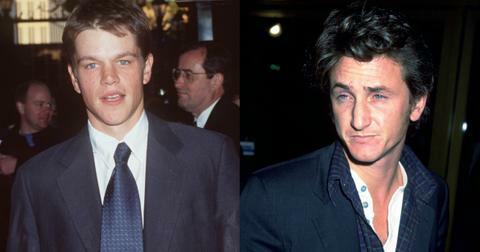 Both Sean Penn and Matt Damon were on studio execs' minds before the part ultimately went to Edward Norton. It might've been interesting to see how the film would've played out with Penn/Crowe, given that they're both intense actors. It'd completely change the dynamic of their relationship. Personally, I don't think there's any way casting for the film could be improved. Fincher and Pitt do make some absolute bangers together. 15. 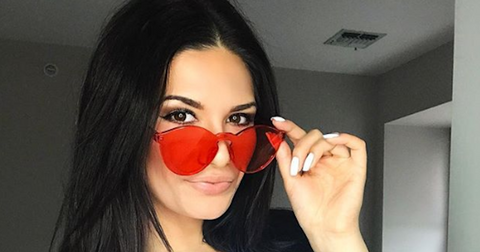 What about early choices for Marla? I know I sound like a broken record, but I really believe the casting for Fight Club was impeccable, which is especially crazy when you consider all of the top-level Hollywood talent they considered for the film. How do you think Sarah Michelle Gellar or Reese Witherspoon would've fared as the delightfully dark Marla Singer? What about Courtney Love or Winona Ryder? They were all considered for the role of Marla before Helena Bonham Carter nabbed the role and absolutely crushed it. 16. Like the "Fight Club" font? If you're interested in downloading it, or are putting together a cool-looking flier for your weekly "Taco Club," you can download the font that's used in the movie's box art and credits. It's called, and I'm not joking, "Fight This". Get it here. 17. Out of the frying pan and into the fire: pillow talk. To say Fight Club pushed a lot of people's buttons would be an understatement. Writer Chuck Palahniuk is known for wonderfully dark lines. For example, in the novel, after a rousing love-making session, Marla Singer tells Tyler, "I want to have your abortion." Laura Ziskin, a Producer at Fox, said they couldn't have that line in the film. Fincher agreed to change the line with something else, as long as she agreed that whatever they came up with, it couldn't be changed. As it turns out, Ziskin hated "I haven't been $*#! like that since grade school" even more, but couldn't do anything about it. 18. One of the movie's most memorable scenes packed a big surprise for Brad Pitt. "I want you to hit me as hard as you can." It was in the trailer. It's the scene that resonates with most viewers of the film and is infinitely quotable, not to mention it perfectly captures Tyler's character. 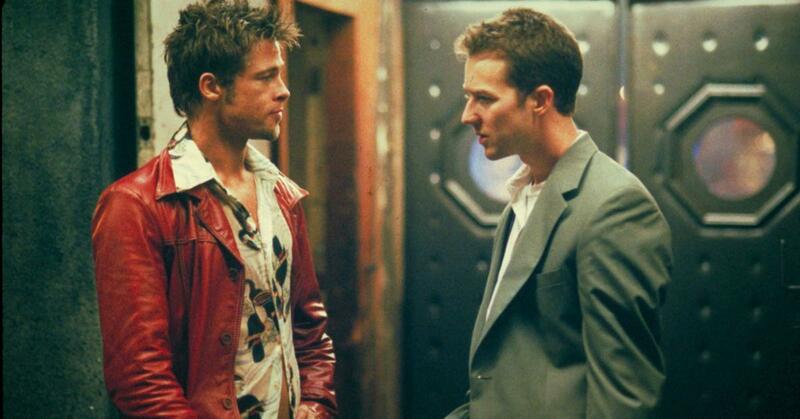 There's a reason why the scene is so funny and works so wonderfully: at the last minute before filming, David Fincher told Edward Norton before the take to actually hit Brad Pitt. If you look closely, you can see Norton laughing a bit as Pitt winces in pain from the cheap shot at his ear. 19. Bob's Fat Suit had an interesting ingredient. 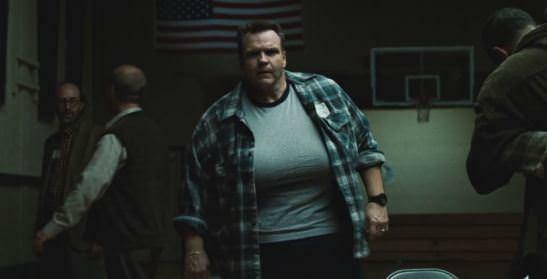 David Fincher and his team took the term "fat suit" quite literally: it weighed more than 100 pounds, forcing Meat Loaf to carry all of that around. What added to the weight and illusion of the sagging, post-roid abuse body was that his fat suit was actually filled with bird seed. Thank God it's not the liposuction fat Tyler would pilfer from the dumpsters behind the plastic surgeon's office. 20. Edward Norton actually went bare-bottom. In the short scene where he's ordering IKEA-style furniture from a catalog while sitting on a toilet, Norton took his pants and underwear off for the shot. He even joked with director David Fincher during the movie's DVD commentary that he "didn't have to go to the bathroom that day." That's my kind of method acting. In a shot where a member of Project Mayhem starts spraying a priest with a hose to instigate a fight, the cameraman found it so funny that he couldn't help but laugh. It caused his camera to shake, and a slight jolt from his laughter can be seen in the film's final cut. 22. The "Rockstars" line was aimed at Jared Leto. A year before the film's release, Jared Leto formed 30 Seconds to Mars. He also plays the bleach-blonde beauty aptly named "Angel" in the film. When Tyler's giving his monologue about people who were raised to believe they'd grow up to do great things, when he mentions "Rockstars", he looks directly at the frontman. 23. The Rubber Glove was Brad's idea. The same Laura Ziskin who had a problem with Marla and Tyler's pillow talk was pretty upset about Brad Pitt's idea wear a rubber glove when he opens the door after Jack was listening in on their raucous pleasure session. She changed her mind after the movie's test screening had audiences roaring with laughter at the site of the glove.